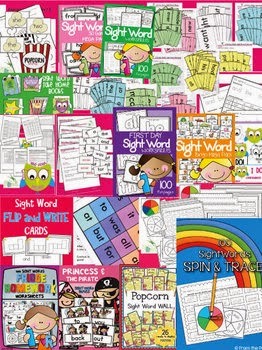 Today I want to show you a few of the resources from my '100 Sight Words' series. I have been busily revising and upgrading the resources in this collection over the last year, but have not had a chance to show you any of them in detail. I am planning on having the final few revised in the next month. The 'Flip and Write' cards are so much fun. All 100 words are included. Once laminated, students read the word, then 'flip' it! The look at the letter boxes and think back to the word they read. They take a dry erase marker, and write in the word! 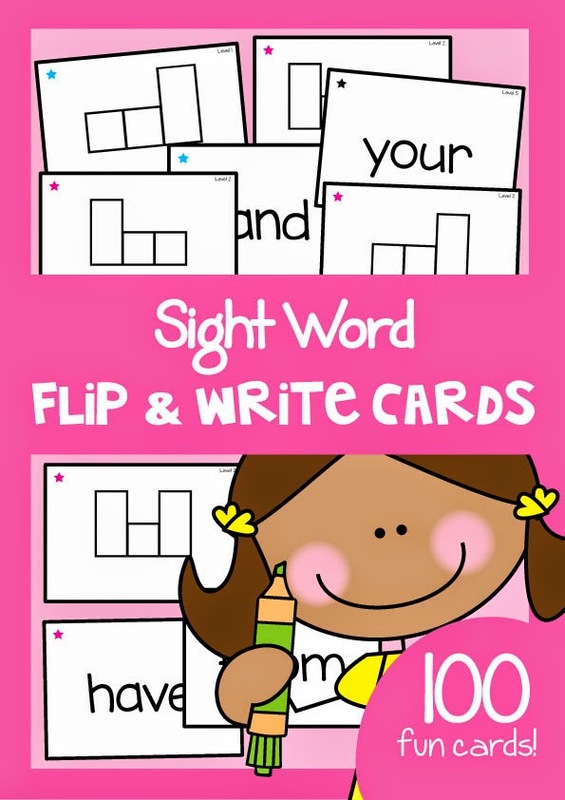 These are fun and focus on the key skill - remembering these words by sight! This was one of my very first 'write and wipe' activities, and I am so glad that it is now revised and looking all brand-new. writing - so these clear uncluttered sheets, with the large word as the focus, are perfect! They can take this worksheet home, stick it on the fridge and practice reading it all week! and trace the handwriting-pattern lines. You can knock over a sight word AND handwriting lesson, even in the early stages of sight-word-learning! 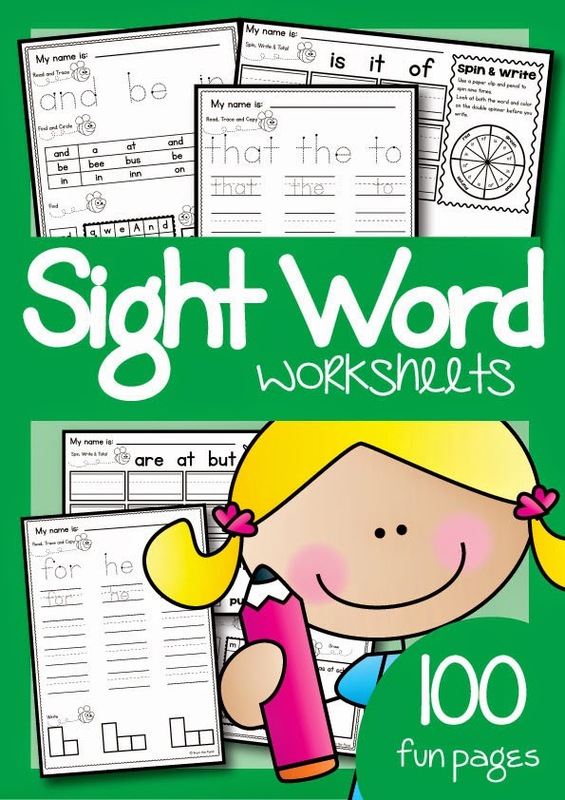 I have revised my 'Sight Word Worksheets Mega Pack' as well. As well as refreshing the existing pages, I have added a new page design, so that there are now 3 different worksheets for each 3-word combination. 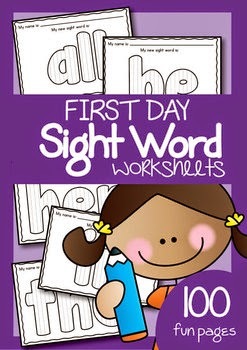 There are 100 worksheets in total! 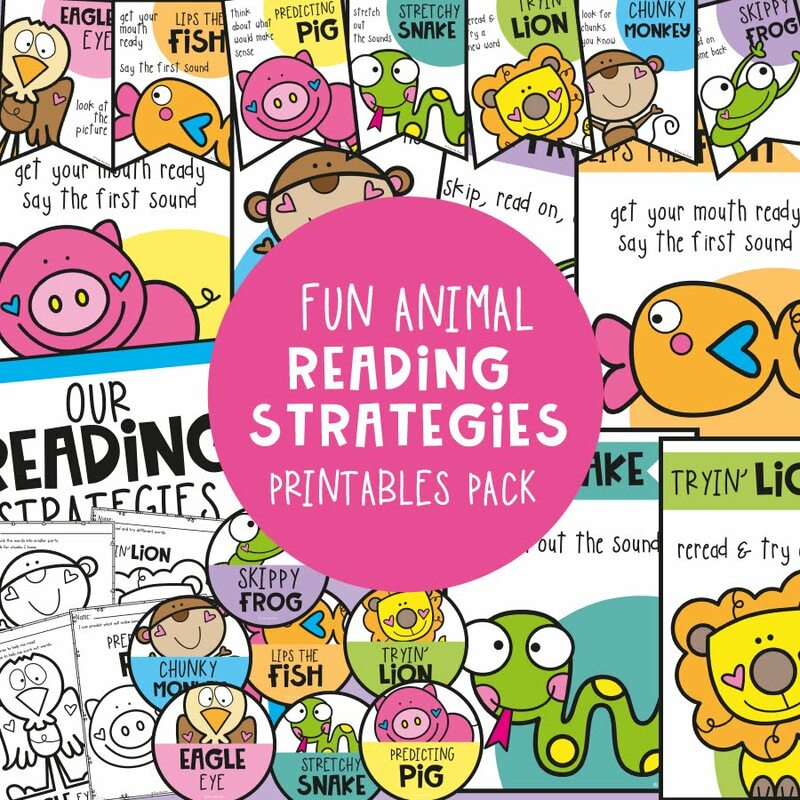 These are great for when your students are ready to move on to sight words as a 'spelling' activity as well as for reading. All of these resources are also bundled up, so you can save AND receive all the new resources I add to the series. There are many more to come! Find the Ultimate Bundle in my TpT store! Thanks so much for stopping by my blog - have a great day! Hi my friends! How is your week going? I am on a break from school for 2 weeks. I cannot believe we only have one quarter of the school year left for 2014. Eeek! 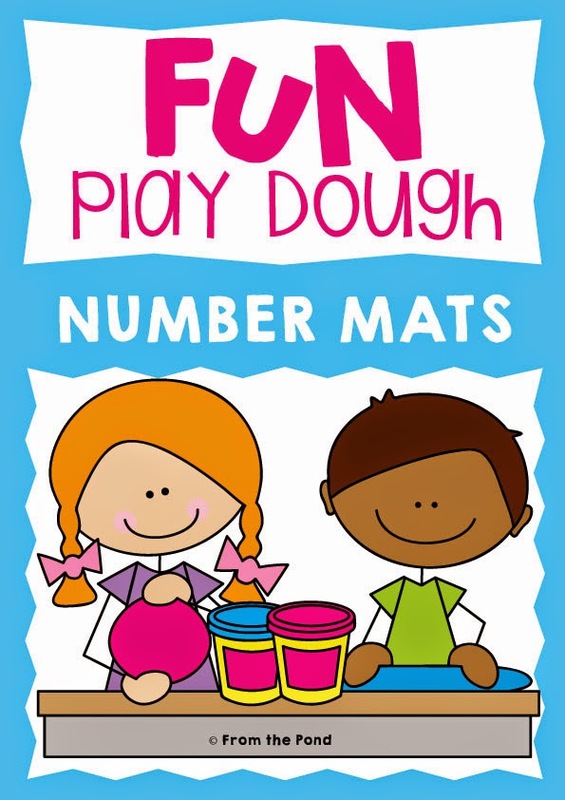 I have found some time to finish a 'Number Play Dough Mats' resource I started quite a few months ago. 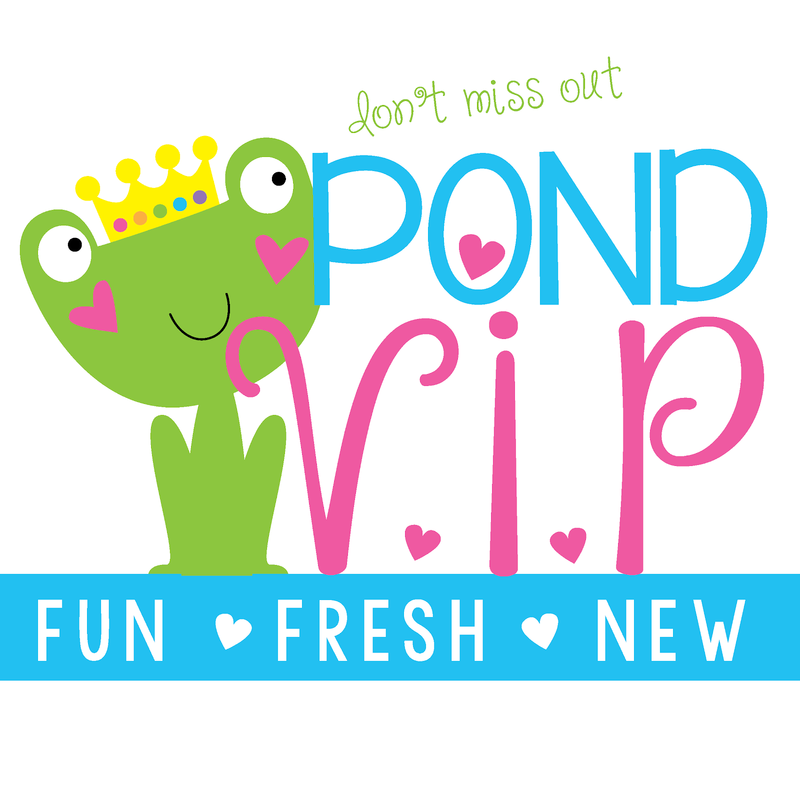 I have also prepared an exclusive one just for you! 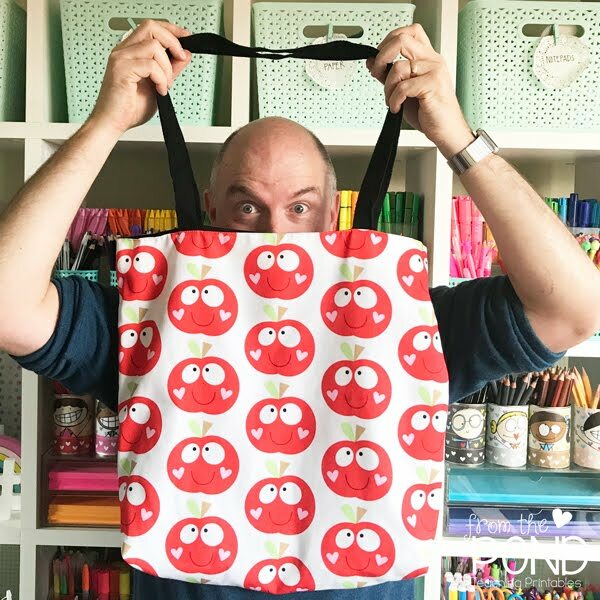 Head over to TpT to find this pack of apple themed play dough mats! 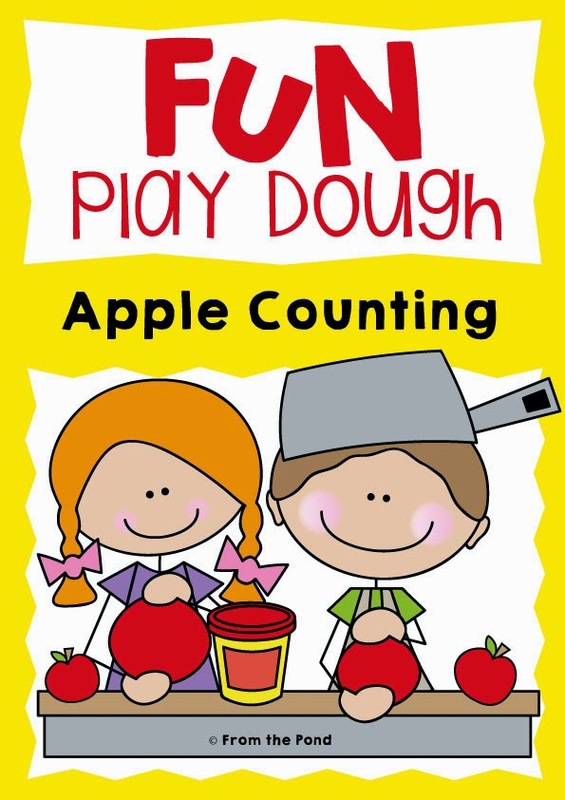 Your students will have fun saying the little rhyme, rolling red balls of play dough and making a stack of apples on the group to match the number on the tree. 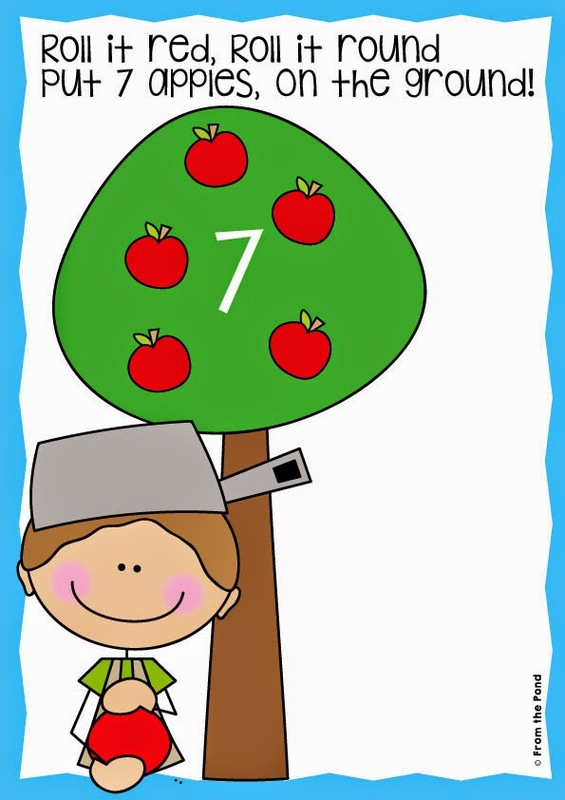 These will help with numeral identification and counting up to 10. These ones are not themed, and would make a great all-year-round number activity or center. Thanks so much for stopping by, I will see you again soon! Hi friends! 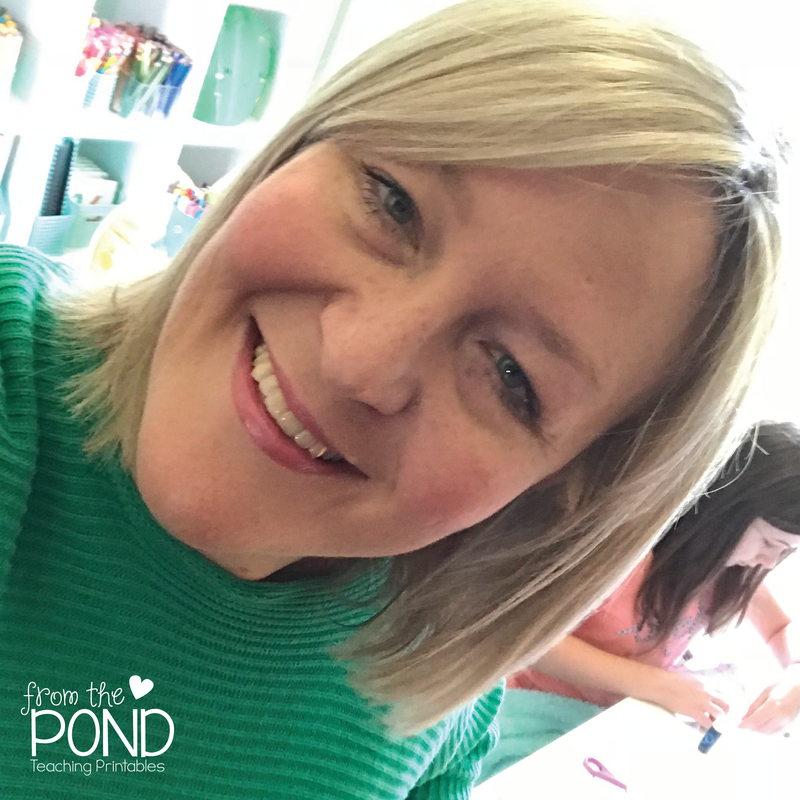 I am linking up for a 'peek' at a week of 'number' activities again! 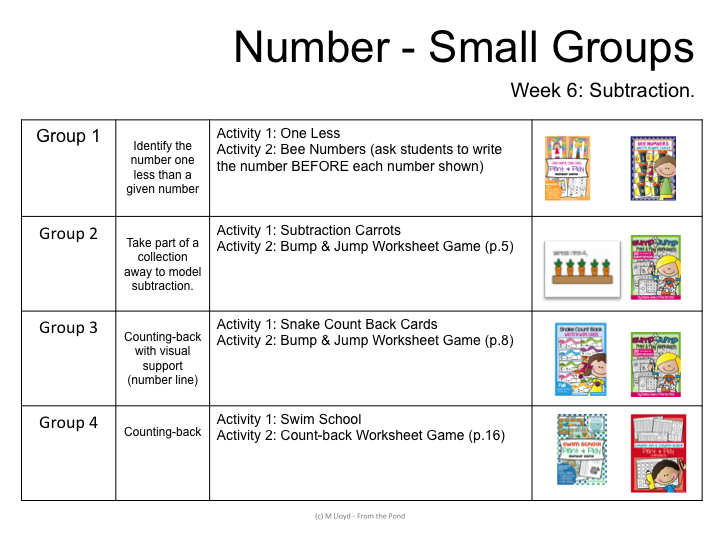 This week, I have a week of subtraction activities for you. 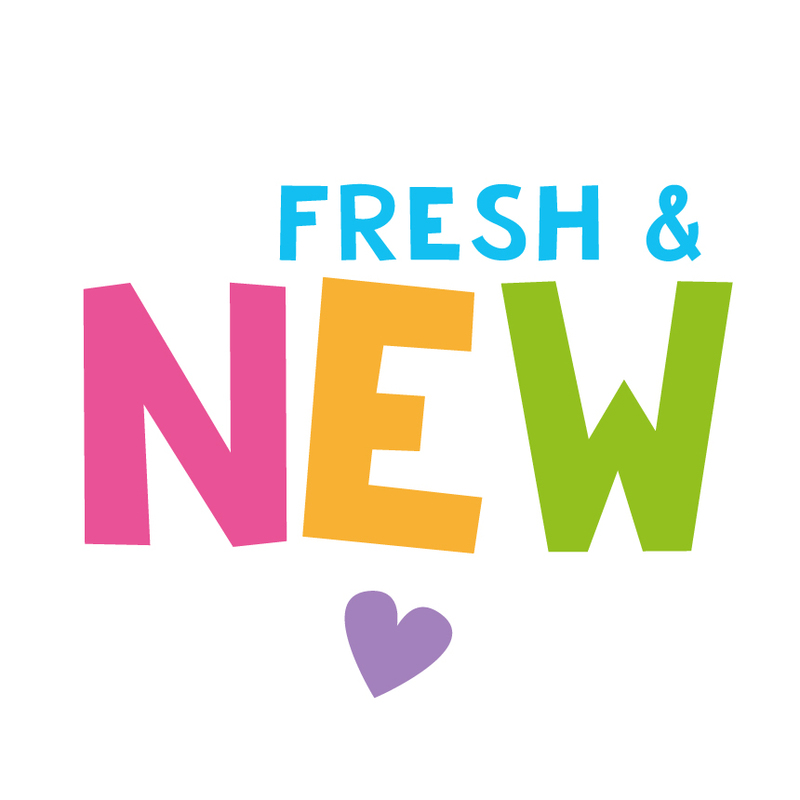 My term overview is included in the downloadable plans at the end of this post, if you would like to see how I have progressed through topics. I would plan LOTS of opportunities for students to play with manipulatives to model subtraction with real objects, as well as undertake formal lessons in subtraction. These activities are just the small-group component, and the time where I focus on the HOW the students are finding their answers. 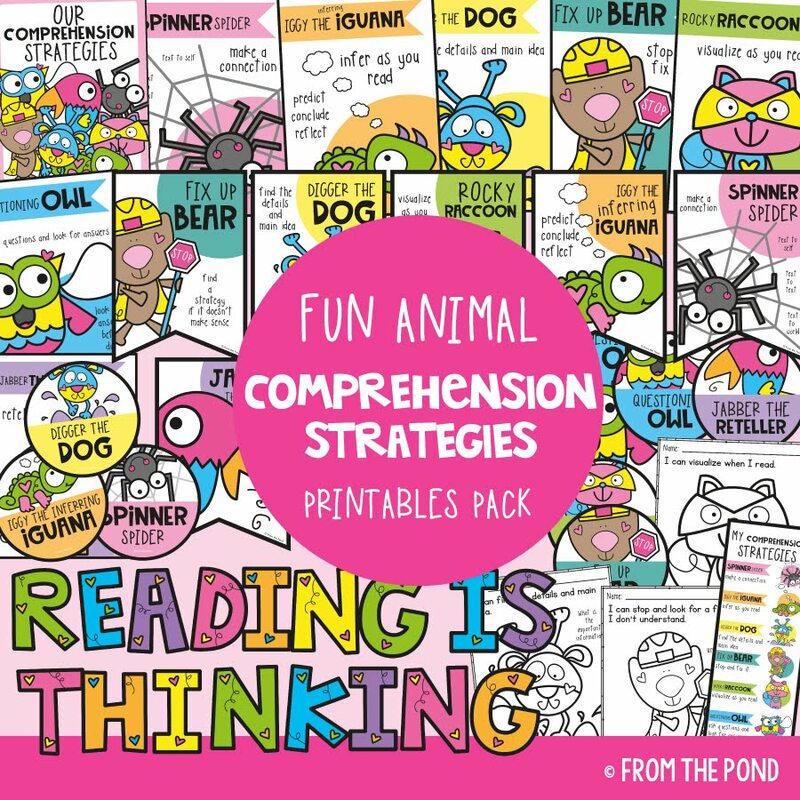 I use them as a time to teach specific strategies and help them progress to more challenging strategies. After a quick assessment of my students, I put them in 4 groups, and differentiate their activities. The first group of students, are still having difficulty with counting and ordering numbers, so I do not want to take them too far with subtraction. The two games I have chosen are the same as last week, but instead of 'one more' we are doing 'one less' - so a focus on the backward number sequence. Students will roll a die, count one back, and find the numeral. This is perfect for this lower group, as they are getting subitizing, numeral identification AND a bit of subtraction! In 'Bee Numbers' - just ask your students to write the 'one less' number. The second group needs lots of practice, taking part of a group away to find out how many are left. These students need to be able to see and touch objects to subtract them. But we are moving them gradually to the point where they are able to do this subtraction without actually touching the objects. The second activity I have chosen for them, will hopefully edge them closer to being less reliant on objects. They have the support of the 'dots' on the dice, which they can point to and cover up, should they need the visual support. It is a worksheet game in the "Bump & Jump Subtraction" packet that I made with my friend Deanna. Closely monitor this group, if they need more practice with manipulatives, change the activity, or give them counters/chips so they can 'act it out'. The third group of students are very confident with subtraction when they have objects, and are showing signs that they do not need to rely on them. These students are going to learn to 'count back'. A visual support of a number line, will help bridge the leap from concrete to abstract. My Snake Count-Back Cards will allow them to cross numbers off the snake, as they count backwards from the snake number. 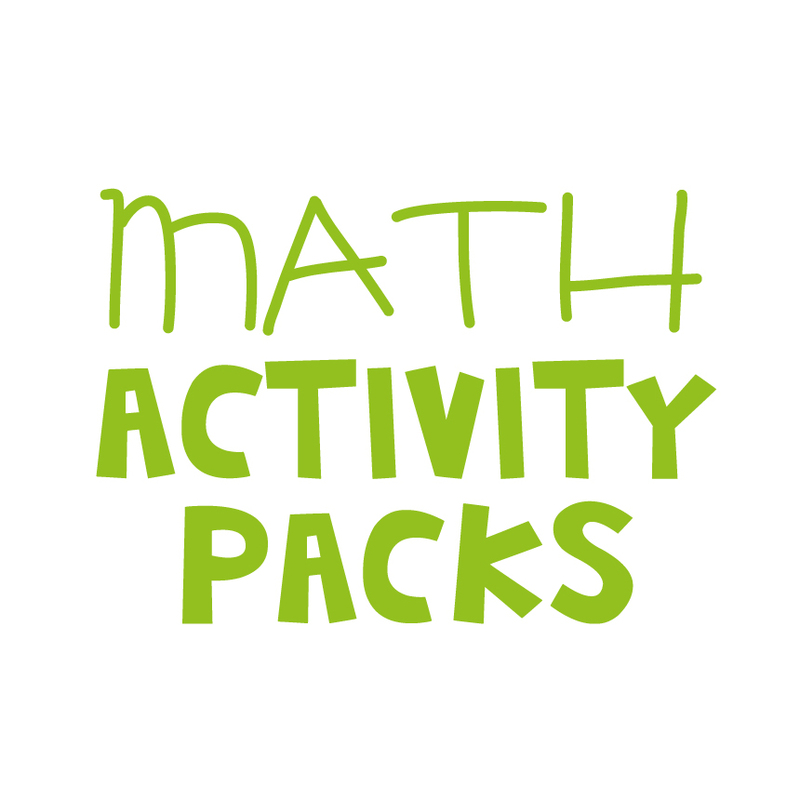 The worksheet included in this packet would also make a great whole-class activity this week. I have also chosen a 'Bump & Jump' worksheet game for this group. It includes a number line on the base of the game board, and students can choose to use it if they need. The fourth group of students are more confident with 'counting back' and may also be experimenting with other strategies for subtraction. and a 'Count Back' play-on-the-page worksheet! And there you have it - plans for two 15 minute blocks of a Kinder/Grade 1 number program. And 'they' say we 'just play' in Kindergarten. Ha! 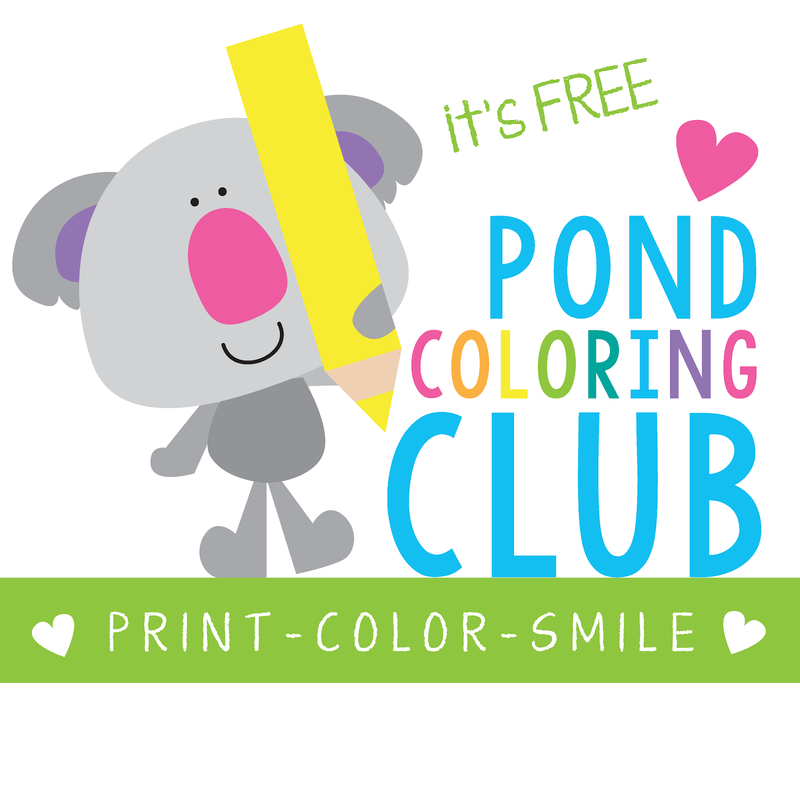 Today, I want to share with you, a simple classroom idea. 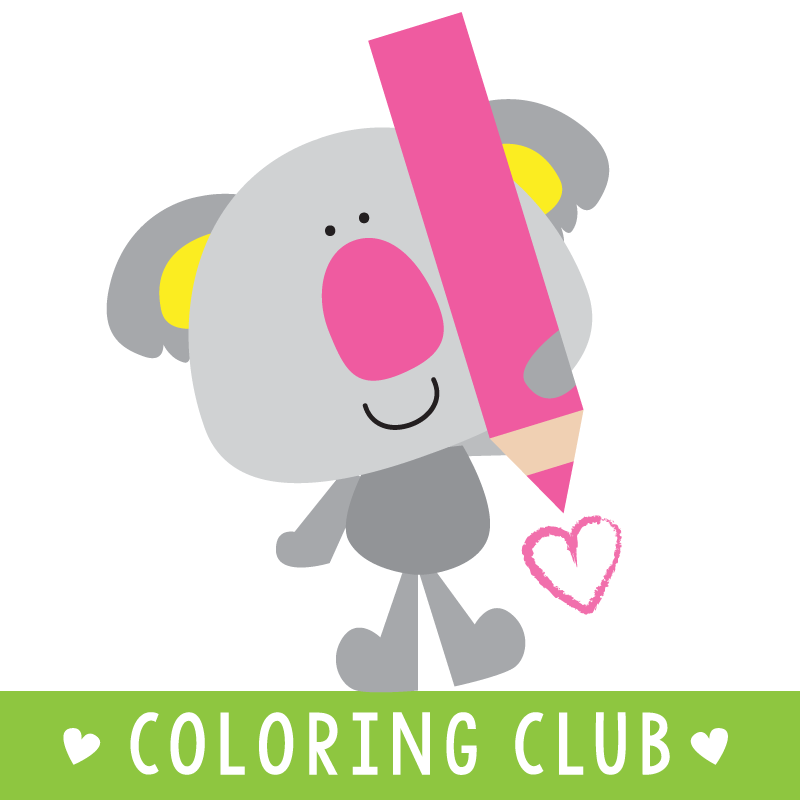 If you follow my blog, you know that I am mildly obsessed with educational games. This 'bright idea' will help you collect resources for your 'game collection'. I like to have a few packed shelves in my teaching cupboard, of ready-to-go items that make setting up game and small group rotations, easy. I like to call it my 'game collection' cause when things have a name, they are easier to organise. And put in a box. I also have a small confession to make today. I almost cried when 'the men' came to take my classroom blackboard away. And I have never really recovered. I know I am in the minority here. I am not sure what it is. I accept that I am a traditionalist. I don't shy away from technology at all though, so I remain a little confused about why I feel so connected to the blackboard. It is what it is I suppose. My name is Mel and I think teaching is better with a blackboard. I don't understand the problem with the dust. Damp cloth, 10 second wipe at the end of the day. How is that so hard? I never had dust. People cry 'oh the dust'... whatever. Whiteboards just irritate me. They never look neat. I'm always looking for a pen that works. The 'dusters' never clean properly. My writing looks messy. Arghhhh. Each time I find a pen that does not work, I think about how this empty unwanted plastic cylinder is now going to landfill. And the millions of other pens that have finished their life today - they are going to clog up our environment somewhere too. And don't get me started on computers and Smartboards. I have this recurring dream, it is set 100 years from now. Some little kid, in a classroom somewhere, is tired of waiting for the classroom computers to warm up. She finds a piece of paper and a pencil, or a stick of chalk and makes a mark on page. She realises the brilliance of something instant. "It is INSTANT" she exclaims - thinking its the greatest invention ever - and the world is never the same again. Anyhow, I know I think too much about weird things. Although, perhaps I would not need to, if I could just have a blackboard again, and get on with the important stuff. So, after the 100th marker I threw away this year, I got to thinking. How can I reuse these? I am still working on the pen section, but the lid... the lid, I can work with. Just grab some craft foam shapes. And stick those little cuties on top. Voila! Instant game counters! 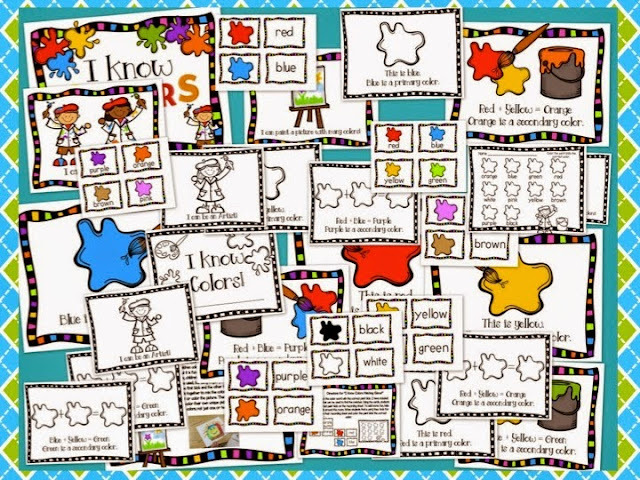 These add an element of fun to your classroom games, but also make it much easier to count spaces and see where each student is, on the game board. THAT. IS. A. BRIGHT. IDEA. Call me 'the ideas girl'. Or not. Whatever you are comfortable with. Today is 'International Talk Like a Pirate Day'! To celebrate, I have joined with some friends to give you the chance to find lots of pirate booty! 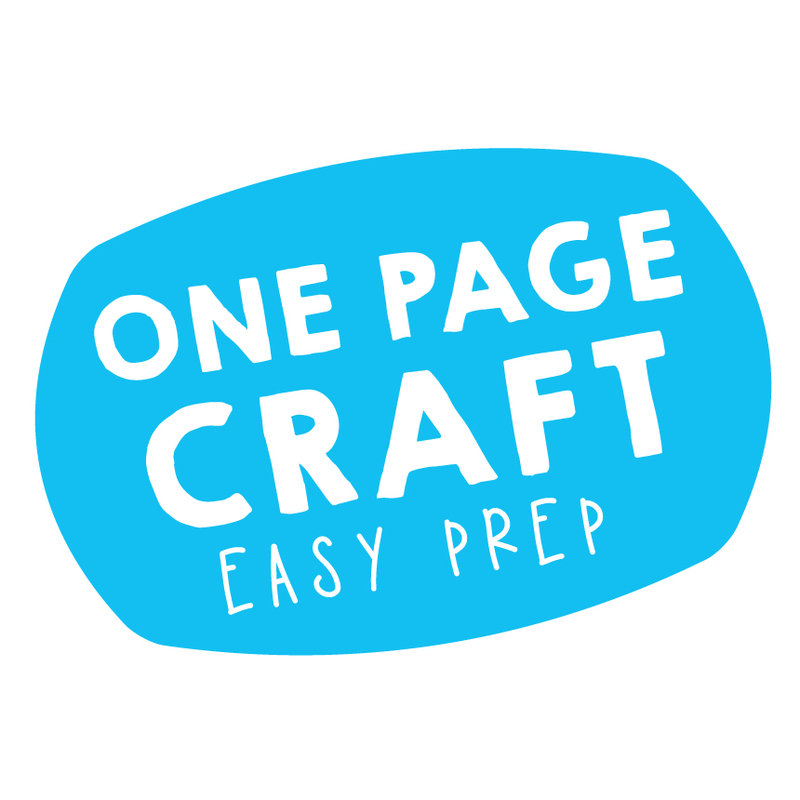 I want to share with you, a free sample 'Play on the Page' game with a pirate theme. 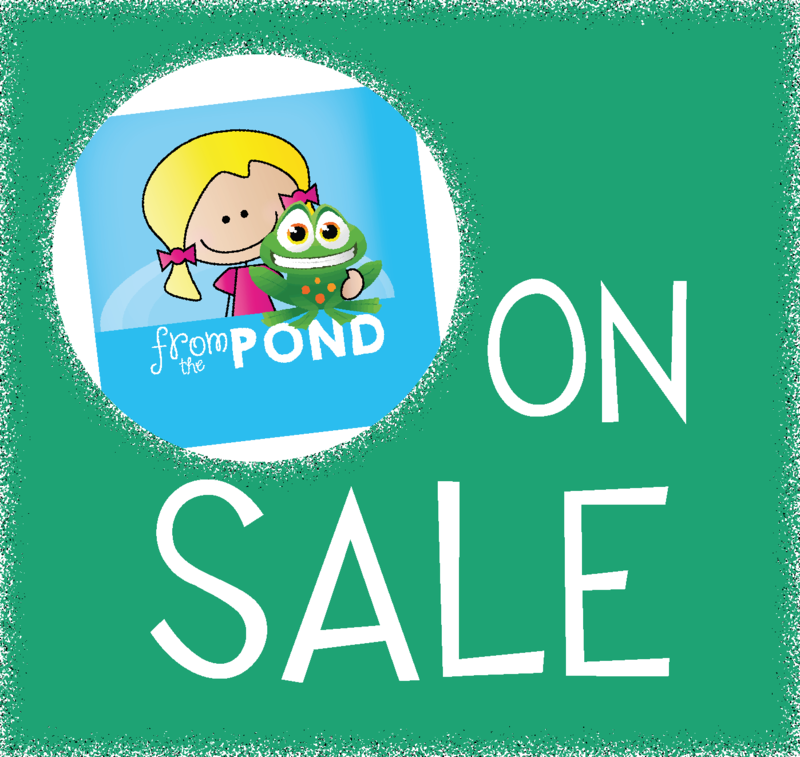 If you need more teaching treasures, head over to my TpT store - I have my entire resource collection on sale for today only! 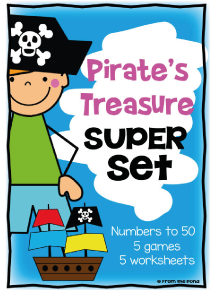 In my store, you can find my recently revised 'Pirate's Treasure Super Set'. With this packet, you can make up 5 'print and play' games. 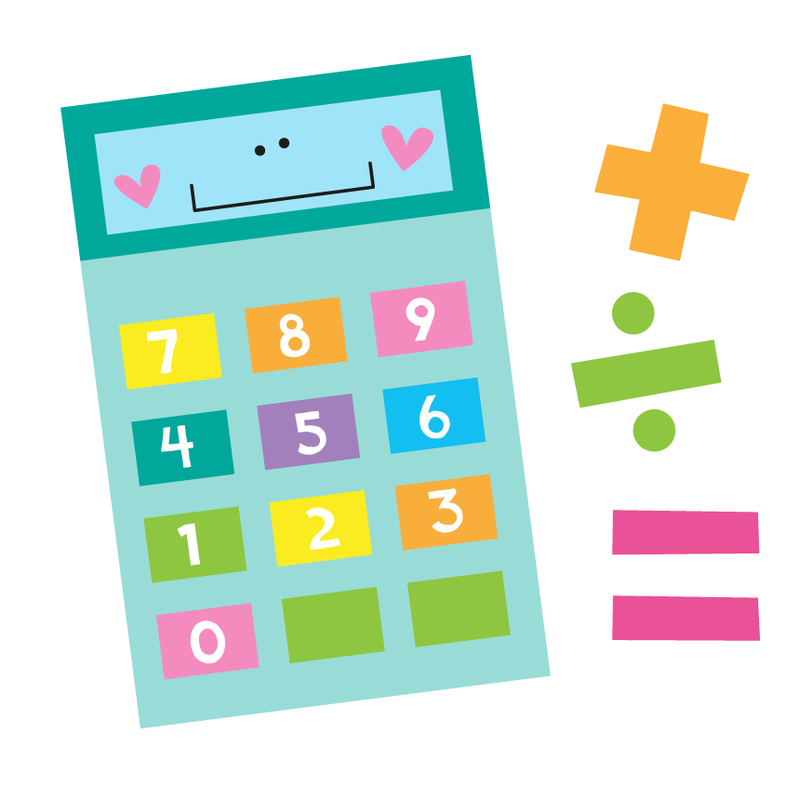 Each game will help your students revise a different number range from 0-50! In each set there is 8 game boards, number cards and to add some pirate excitement to the game, some shark and treasure cards. A worksheet is included for each game as well! 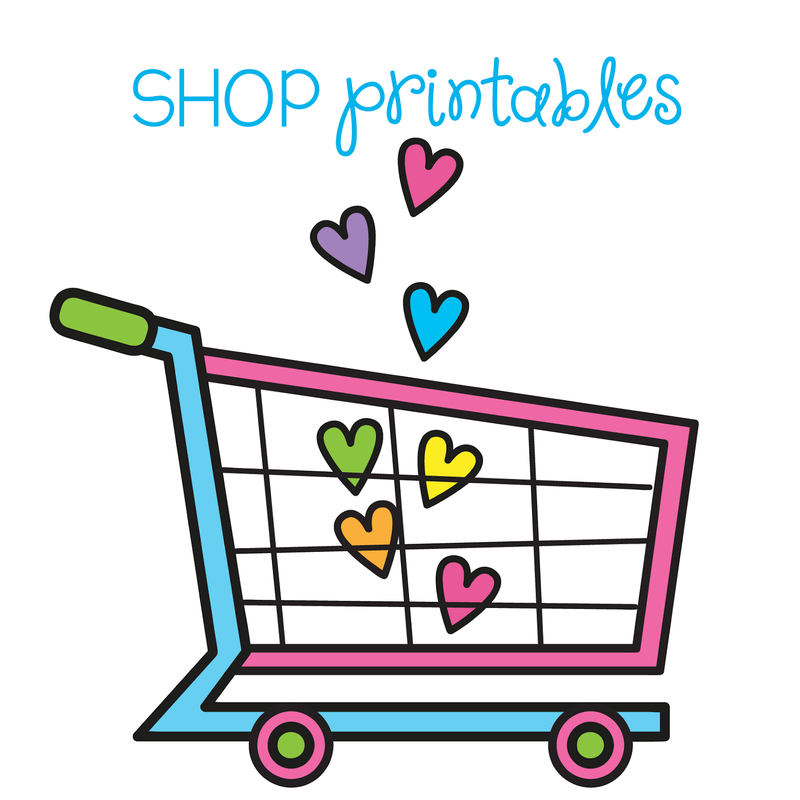 Click on the button below to find my TpT store. Not celebrating today? Store these goodies in your treasure chest for later in the year when you can implement a whole unit of work on Pirates! My boy and I found a great new book at the shops this morning. Ok, we found three, but I promise I am trying very hard to cut back. This one is called "The Colour Thief" and after only just reading it, I am seeing so many possibilities for the classroom. It is written by Gabriel Alborozo. I deserve extra points for managing a selfie with a book cover and an excited 2 year old that just wanted me to keep reading. My daughter is 7 and I know she will love this book too, so it covers a good age range. My little man was just captivated by the illustrations, even though many of them were in grey. They are very expressive and capture attention! It starts by telling the story of Zot. Hello cvc words opportunity! Zot lives on a planet that has no colour, and he dreams of visiting the one he can see that is filled with colour (Earth). After a trip in a very cool spaceship, he arrives and starts stealing all the colours. Look at this illustration - I can see lots of ideas for student artwork right there, with paper chipping and newspaper. Friends, I am on it, and will show you something soon! He takes all the colours and sets off back home. He suddenly realises what he has done, and returns the colours he has taken. A sweet boy offers him a balloon to take home, which he is thrilled with. He takes it back home and it warms the hearts of all his drab grey friends. The final line "A little colour can go a long, long way" is perfect. I cannot wait to read this to my first graders! I think it would be perfect to do with Kindergarten also, at the beginning of the school year. You can use it as a great springboard for discussions on feelings, friends, taking things, considering others and sharing. It also has a great message about not needing to destroy or take everything from someone, and that a little effort makes a huge difference.